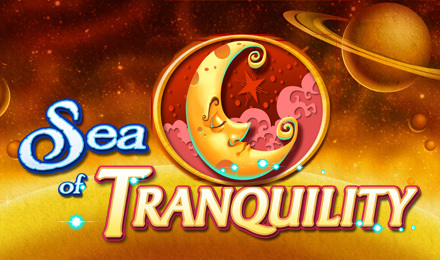 Join the lunar adventure to starry-eyed riches with the Sea of Tranquility Slots Game at Vegas Spins! Journey past lunar symbols, the Close Enough Feature, Expanding Wild Shooting Stars and Moon Bonus to FREE spins and multiplied prizes! Reach for the stars and travel to the moon with this lunar-themed adventure through the Sea of Tranquility Slots Game at Vegas Spins! Navigate your way past lunar symbols including the moon, owls and time dial to the Close Enough Feature. On your journey, you can watch out for Expanding Wild Shooting Stars and Cresent Moon Bonus symbols to trigger FREE spins and multiply your wins by 25!